I would like to thank Gordon Eno for his very generous donation to the Club. He donated a gas powered grass blower and a 3500 kw generator, both in great shape and working condition. We will put them to good use. Thanks, Gordon. I would also like to thank Max Burks and his crew on getting the scratch and brown coat stucco done on the Cook Shack. We will let it dry for 30 days, and then the color coat will be applied. When all is done the Club House and the Cook Shack will color match. We hope to start the remodel on the inside early next year. We have had two hit and run accidents at the front gate area in the past 2 months so we will be incurring some large expenses to repair the fence. We found Mercedes parts on the ground from the last one. However, the police couldn’t find a report of either a car being towed away or an ambulance being called. If anybody knows anything that can help us to identify the culprit(s), please let a Board Member know. The Christmas Charity Shoot is on December 11th. Hopefully, we will have good weather and a great turnout so that we will be able to give a lot of toys to some needy families. If you know of a needy family, please provide us with the ages and gender of the children so that we can provide an appropriate toy for them. 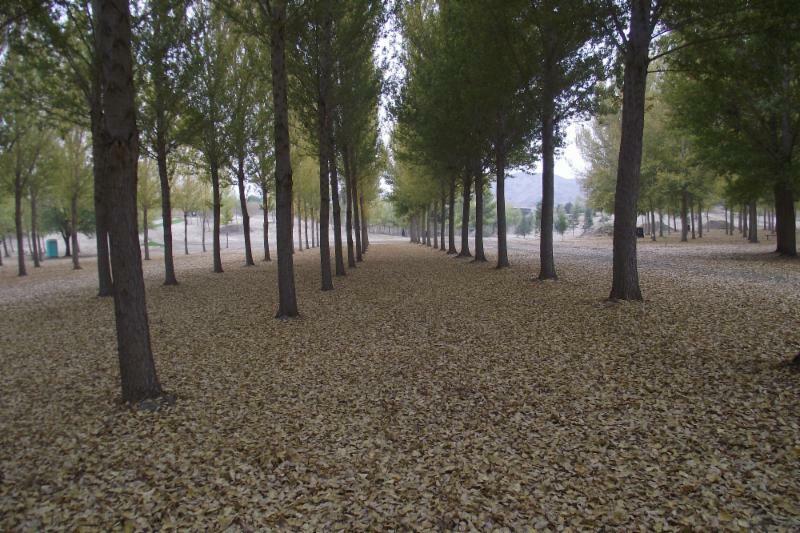 There will be a work party on Saturday, December 10th at 8:00 am. We will need some people to help put out the targets, clean up the Assembly Area, perform some limb chipping, and target gluing. On Sunday the 11th we will need 10 people to help out at the refreshment stands. If you can help, please contact Tony Tobin to let him know. IMPORTANT REMINDER TO ALL MEMBERS: The gate combo will change on January 1st, 2017. If we don’t have a copy of your current CBH or NFAA card, you will not get the combo until we do have a copy of it. If you aren’t sure if you have done it, please make another copy and mail it to the Club, or drop it off at the Club House on a Sunday, or drop it in the front mail box. All Members are supposed to wear their Membership Card so that it is easily visible, preferably on your hip quiver. Also, as a reminder, all Members can bring a guest, 2 times only, and then they are required to join the Club. You can bring a different person every time you go to the range, but only 2 times for the same person. A Family Membership is a Husband, Wife, and Children up until the age of 21, as long as they are in college full time, taking 16 units. If not, they must join at age 18. Recently we had a Member and his 28 and 30 year old sons out shooting, thinking it was okay as a family. It was not the first time and I am sure it will happen again. Please use a little common sense. Just because we don’t have a Range Monitor on the range 24 hours, 7 days a week, it is not okay to take advantage of the Club. Recently, we built some more shelves in the 3-D Connex and hopefully it will make it easier and result in neater storage. Jason Duysings has been doing a lot of cleaning and rearranging of the 3-Ds. Thanks Jason. I know I sometimes ramble on and I am not the best writer, but the purpose of my articles and the Club Newsletter is to keep our Members informed with what’s going on. It is so surprising that many Members don’t seem to read the Newsletter. It gets discouraging sometimes talking to Members and they have no clue what’s going on. Like, “When is the next shoot?” or “I didn’t know there was a shoot going on...” or “I didn’t know there was a Work Party...” I don’t know how to get more people involved in the Club Shoots, Work Parties, and the Annual Banquet. If anybody has any suggestions, please let me know. Have a Happy Thanksgiving. As everybody knows, this is the shoot we collect toys for kids. If you know of a needy family that we could help, we ask our Members to let us know. What we need from you is the ages of the kids and their gender so appropriate toys may be given. Early Sunday morning, your list needs to be given to us before the shoot begins so the gifts can be bagged and are ready by the time the shoot is over. Thank you for your support. Happy Thanksgiving to one and all and soon a Merry Christmas. Hope the hunting season has been treating everyone well. Not a tremendous amount going on right now. Take some time out and check out the new main Cook Shack. Joe and the crew did a fantastic job of refinishing the exterior of the Cook Shack and matching it to the Club House. We will look good for the upcoming Christmas shoot. Everyone please get ready for our annual Christmas Toy Drive Charity 3-D shoot coming up in December. We are looking for a big turnout and will need Cook Shack workers as well as plenty of help for the target setup and takedown. Keep in mind that we are discounting the shoot fee with an unwrapped toy so please give generously. The time has come for our yearly officer elections for the Board of Directors. Anyone interested in running for an office or in taking over one of the various range obligations please come to the next meeting or e-mail one of the officers and we will get you on the list. Elections are coming up soon so don’t miss out. Everyone please make time in January for the annual CBH/SAA Meeting and Banquet. The Meeting is in Southern California this year at the Ontario Radisson. This is an important Meeting for the State Board and for the Big Game Club. There will be legislative meetings on Friday and full Board Meetings on Saturday and Sunday. They will also have the Big Game Club Banquet on Saturday night. The Meetings are free and the Banquet is not ridiculously expensive. You can reserve a spot at the Banquet by filling out the form in the CBH Newsletter and sending in to the address listed. This is a great opportunity to meet the various representatives that make up the State Board who help you to maintain your hunting and shooting rights in California. Don’t miss out. As many of you may have read, Raahauge’s Shooting Enterprises had a big fire just this last week that burned down several of the buildings on the range. The Raahauge family has been a cornerstone of shooting and hunting here in Southern California for many years. They are re-opening the range for business on Friday November 25th. They will, however, be heavily impacted by the loss of some of the revenue generating buildings. For those of you that still shoot guns, please make it a point to support the Raahauge family during this difficult time. For the time being, we will be looking for alternate locations for our Hunter Education program and will advise when we have something set up. Anyone that is looking for our Hunter Education class, please refer to the California DFW website for the latest details on our location for the month. All that being said, now is always a good time to re-visit your own home and outbuildings to make sure you are up to code with the proper fire suppression and warning systems in place. You also need an effective evacuation plan for your family and pets. Fires happen quick! As always, I will close with a big “Thank You” to all you great Members. 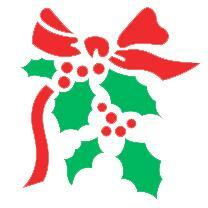 I wish you all a great and safe Holiday Season and will see you at the Christmas Shoot. 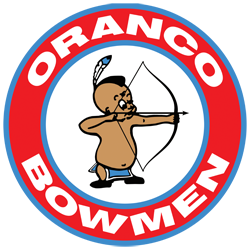 The Women of Oranco will soon have a new way of competing with each other and Oranco Bowmen will have a new way of awarding trophies just for the Women Bow Hunters. We will have a new perpetual trophy for the Women of Oranco to compete for the “Huntress of the Year”. The women will no longer have to compete with the men for these awards. The only thing that will remain the same will be the Big Buck Contest. This new strategy will give the women a better chance to compete amongst themselves for awards. If you have any questions call me and I will explain the details. Joe was still waiting on some bids to repair the Front Gate from our most recent hit and run accident. The Club House phone is now working. Joe and Jason have been working on improving the Broadhead Pit. Work has been completed on the Propane Cart. A new shelf has been added to the 3-D Connex, which should help with target storage. Our Range Captain mentioned a reminder to those Members with Bee Allergies that we still have an active beehive on the range. Please contact a Board Member if you have any questions. Reminder to Members that Oranco is looking to order some new bales. Please let Chriss Bowles know if you are interested in purchasing one for your own personal use. The Hunt Chairman mentioned a recent article he read where a hunter shot an Elk and was going uphill on his ATV pulling the Elk behind him when his ATV overturned. The hunter fell onto the Elk’s antlers. Be careful out there. Use your common sense. 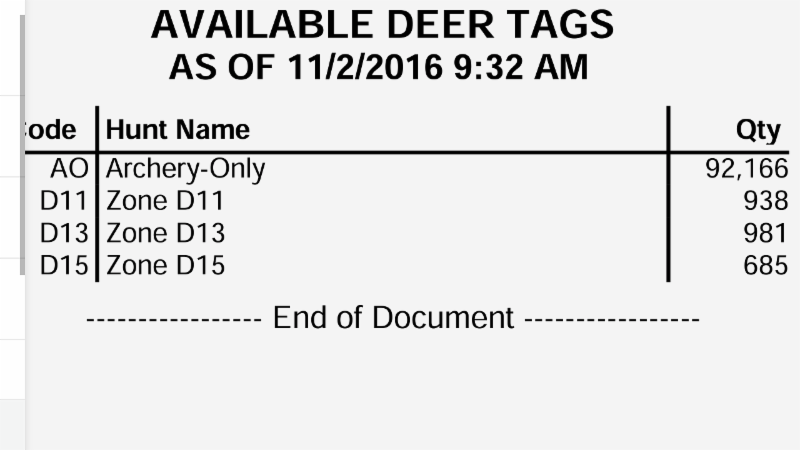 The Hunt Chairman also wanted to remind Members that they have to report their Deer Tag results, even if they did not get a deer by January 31st, otherwise the DFW will fine them when they purchase their 2017 Deer Tag. The Membership Chairman is asking that ALL Members carry their Membership Cards on them in order to verify who is actually a Club Member. There have been some issues with Members bringing in their adult children over 18 years old who are not full time students under their parent’s Family Membership. The rule is the child is eligible until age 21, as long as the child is enrolled as a full time student taking at least 16 units. The new gate combination is coming up on 1/1/17. In order to get your new gate combination you MUST ensure that your CBH / NFAA Membership is up to date. The Membership Chairman needs a copy of your current Membership Card in order to release the new gate combination to you. This is your responsibility. There was a motion put forward by a Member to add an Awards Category for Woman Bow Hunter of the Year (Hunter & Huntress of the Year) as a separate Oranco Bowmen Award. It was debated, voted on, and passed, details will follow. In last month’s Newsletter it was mentioned that Brett Scott recently purchased Bear State Archery. My sources were incorrect. Brett Scott recently purchased Willow Creek Archery, which just had their Grand Opening on 12/3/2016. Please show them your support. There was a motion to provide Active Duty Military with a discount for shooting fees and full Club Membership. The motion was voted on and passed. For more information contact a Board Member. There was a motion from one of the Board Members to build a Fire Pit on the range. It was discussed, debated, voted on, and rejected by the Board. Fire + Trees = No Fire Pit. Terry brought up the 2017 Range Calendars. The Board has decided to make some changes and will wait until the revisions are made to make their final decision. Once completed, David will upload the calendar to the Club’s website. A member made a motion to find out if he had a scooter if he could drive it on the range. A long discussion ensued. The Board will be checking with their insurance in order to see if it is even an insurable venture. The Club’s insurance policy will be reviewed and results will be delivered to the Board. Board Nominations are underway. If you are interested in any of the Club Board Member positions or any of the ancillary Club Positions now is your time to speak up. The January Club Board meeting ends the nomination period. During the February Club Board meeting the votes will be cast for the Board Member Positions. Please plan on attending and making your voice known. Pricing and menu options from Diamond Bar Golf Course were once again provided to the Board Members for their review in regards to the Club’s Annual Banquet. The Board is reviewing and will be making their final decision soon. As you can see, there were a lot of topics discussed at the November Oranco Club Board Meeting. The meeting was held on election night and there were quite a few items on the agenda. Some of these issues may be important to you and some may not. The only way to have your voice heard is to attend one of the Board Meetings. They are held on the second Tuesday of every month. Please plan on attending the next one. Attending a Board meeting is the quickest way to figure out what is truly going on around the Club. We look forward to seeing you there. Staten Island has made headlines this year for their strange and controversial deer vasectomy program intended as a form of population control. But now another deer story may steal a few headlines. 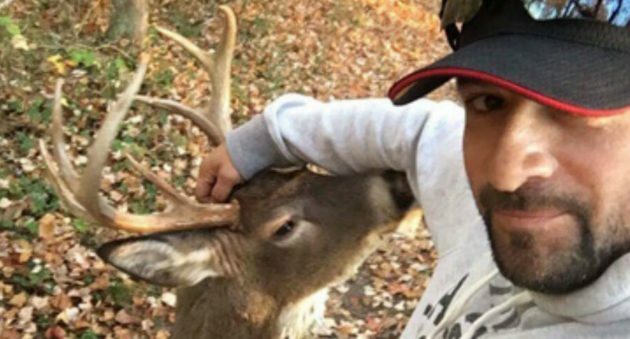 Staten Island Live reports that a buck, friendly at first, aggressively attacked a 41-year-old man. 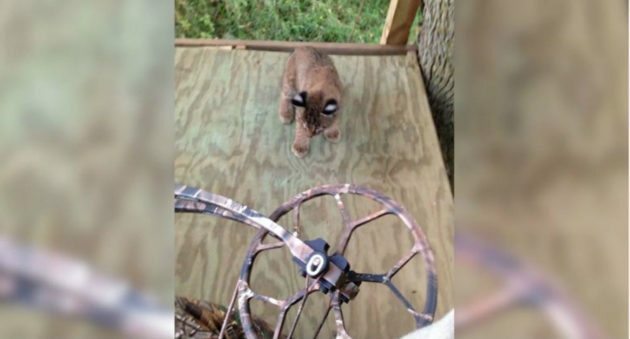 One Iowa hunter gets unexpected visitors when three baby bobcats make a playground out of his treestand. The first day of bow season gets most deer hunters excited. That is certainly the case for Wendell Van Beek. Van Beek caught glimpses of more than just a few deer that morning. As he was sitting in his stand, a bobcat family came into view along with a few deer. It was a short few minutes later that he had not one, not two, but three baby bobcats playing around in his tree stand with him.